With Justice Kennedy's retirement and Judge Kavanaugh's nomination, Roe v. Wade and abortion have been the topic du jour within the media, and for good reason: Justice Kennedy has been the key vote in abortion cases for decades. If Roe is overturned, the legality of abortion will be up to each state. THANKFULLY, we passed a "trigger" law in 2006 that would make abortion illegal when Roe is overturned. We are one of only four states with this law! Plenty has to occur for Roe v. Wade to be overturned, and nothing is for sure in the courts until it is for sure. But there are cases, including those involving Louisiana laws, in the pipeline that a willing Supreme Court could use to reverse or limit Roe. It may not be an "all-or-nothing" scenario in the Supreme Court. The court could limit or "chip away" at the core of Roe over time. Of course, we would prefer an immediate return to the states, but it could happen in this manner. We are excited that Judge Kavanaugh's judicial philosophy includes avoiding "legislating from the bench," which is exactly what Roe v. Wade did. As an appeals judge, he was bound by Supreme Court precedent. His role would change on the Supreme Court. 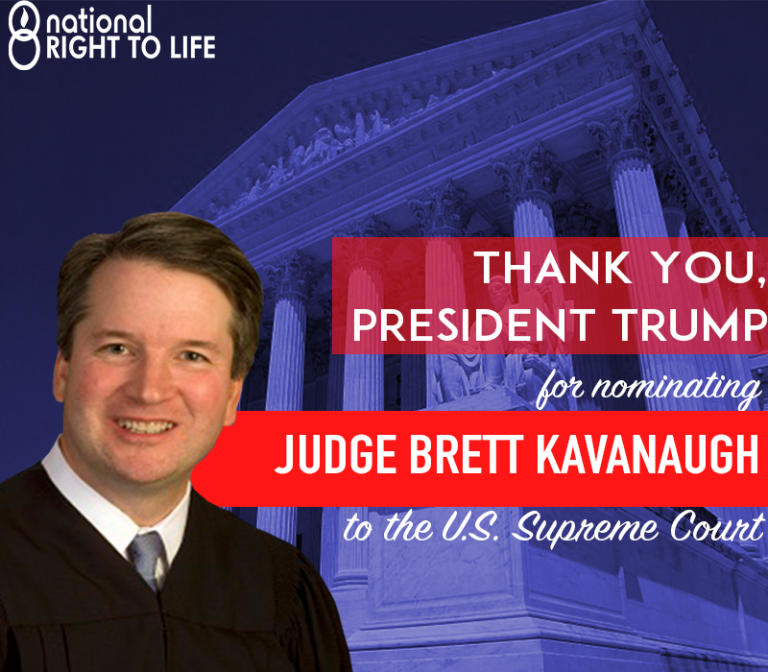 We encourage you to support Judge Kavanaugh's nomination. See below. If you can motivate friends and family in other states to contact their Senators, especially Alabama, Maine, Alaska, North Dakota, West Virginia, or Indiana, please do so! President Trump has nominated federal appeals court Judge Brett Kavanaugh to fill the seat of retiring Justice Anthony Kennedy on the U.S. Supreme Court. If confirmed, Justice Kavanaugh could tip the balance on abortion-related issues and give individual states more power to protect women's health and restrict abortion. Please contact Louisiana Sens. John Kennedy and Bill Cassidy today and ask them to confirm Judge Brett Kavanaugh. 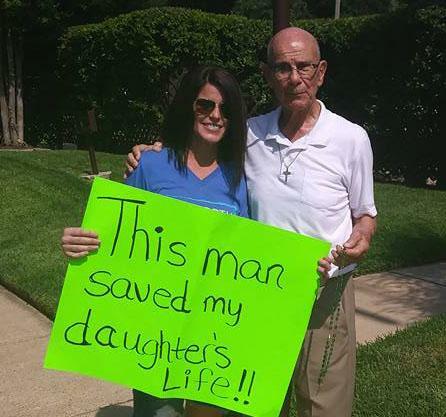 Seven years ago Amy Blackwell drove an hour and a half from her home to an abortion clinic in Shreveport planning to abort her child. She saw "a little old man" on the sidewalk praying for her, and ducked into the center when he turned away. When she returned on the day she was to have the abortion, she remembered that man, and broke down. It saved her child. Seven years later, she met Camille Brocato on that very same sidewalk. 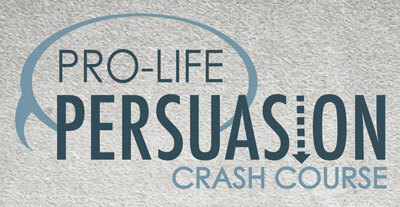 Students in the Lake Charles area, you can learn how to defend life at a PULSE Pro-Life Persuasion Crash Course on Sunday, July 22, from 5-8 p.m. at the Knights of Columbus Hall, 3828 Ernest St., Lake Charles. Krista Corbello, youth programs co-director for Louisiana Right to Life, will present the course. A new pregnancy resource center is opening in New Iberia to help women in need. 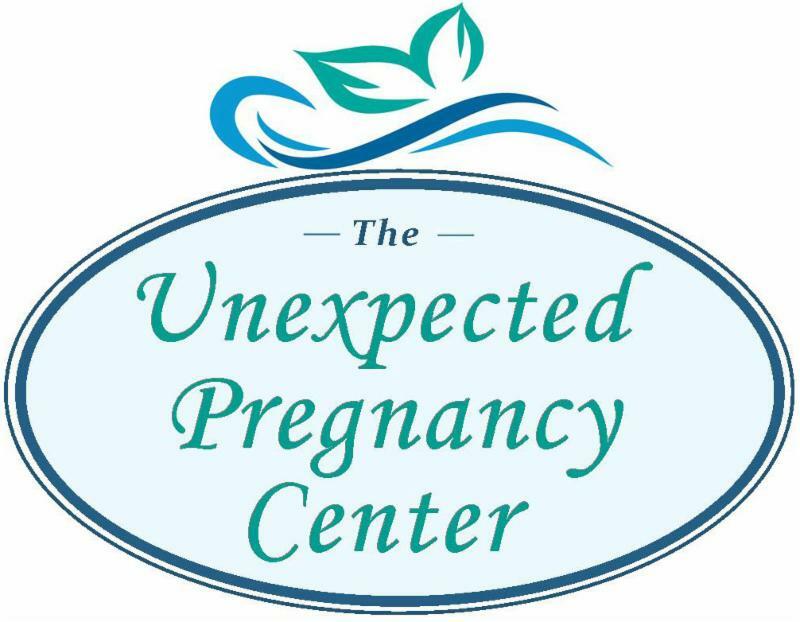 The Unexpected Pregnancy Center is set to open July 24 at 117 E. Pershing St. Volunteers have been working hard to renovate a building and make the center a safe, welcoming place. 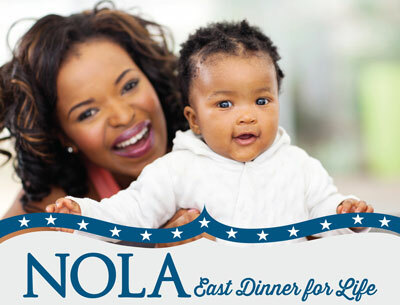 We're just a couple weeks away from the second New Orleans East Dinner for Life, set for 5 p.m. on July 28 at St. Maria Goretti Parish Hall, 7300 Crowder Blvd., New Orleans. Come hear from from pro-life State Rep. Katrina Jackson and enjoy dinner with us. A free meal will be served on a first come, first served basis. The event is sponsored by New Orleans Right to Life and Louisiana Black Advocates for Life. 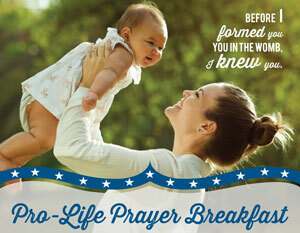 Please make plans to join us for the first Northwest Louisiana Pro-Life Prayer Breakfast Aug. 23 at Broadmoor Baptist Church in Shreveport. The event is sponsored by Louisiana Right to Life, and all proceeds will go toward expanding our pro-life outreach in the Shreveport-Bosser region, especially the Louisiana Life March North. U.S. Congressman Mike Johnson, R-Bossier City, will be the guest speaker. Tickets and sponsorships are available. 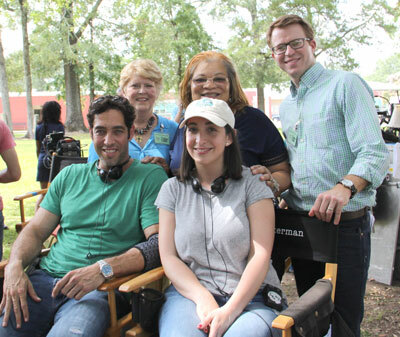 Louisiana Right to Life board member Sharon Rodi and Executive Director Benjamin Clapper visited the set of Roe v. Wade recently. The movie, which tells the story of the 1973 Supreme Court case that legalized abortion in America, was filmed in southeast Louisiana and Washington, D.C., and producers hope to release it in January. Read all about the film soon in LARTL's summer edition of the Luminary. 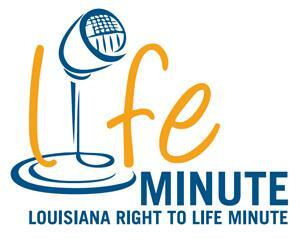 Louisiana Right to Life has produced 10 new "Life Minutes" audio tracks aimed at educating the public about pro-life issues. The ads will be played on area Catholic radio stations and will soon be available on LARTL social media platforms, including SoundCloud, and on the LARTL website. The first "Life Minute" has been released, and you can hear it here first! Please listen and feel free to share it!